We’re continuing our series about some of the most luxurious guest ranches in the world, where lodging is top notch, cuisine is five-star quality, and activities almost unlimited. Today, we take you to Montana’s Ranch at Rock Creek. 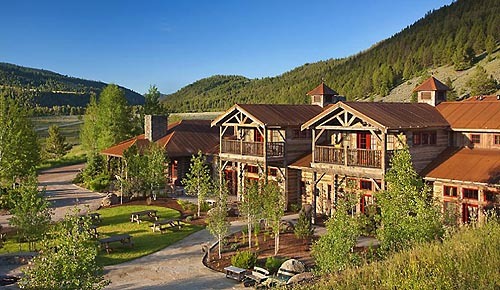 Montana’s Ranch at Rock Creek serves up luxury along with some 50 miles of mountains, meadows, lakes and streams. For anyone who is looking for the perfect blending of comfort and wilderness, The Ranch at Rock Creek lets you choose between various lodging choices. 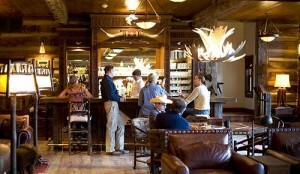 Accommodations include rooms in the Granite Lodge, the Luxury Canvas Cabins, Specialty suites and Homes. Their canvas-topped cabins offer luxury bedding and a private bathroom (choose ‘Glamping for Two’ and you get one of Rock Creek’s four Classic Canvas Cabins—each a gi-normous 630 square feet—which give you a spacious main room for your bedroom with enough living area to include a comfortable sitting area. 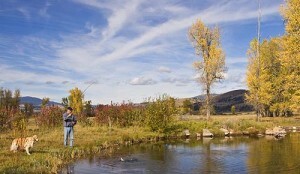 At The Ranch at Rock Creek, recreational opportunities are virtually limitless. Horseback riding on trails that weave among 6,600 acres, fly fishing their 4-mile-stretch of Blue Ribbon Rock Creek, fishing in stocked trout ponds, hiking, wildlife watching, mountain biking, sporting clays, archery, rafting, and games in The Granite Lodge are all popular. Relaxation is a part of the total experience at The Ranch at Rock Creek, with professional massage therapy treatments available in a dedicated five-room spa inside the stone-and-timber Granite Lodge. Details: $950-$7,500 per night. Please visit their website for a description of inclusions and exclusions. Cuisine at The Ranch reflects its pure surroundings – prime organic beef, elk, bison, free-range chicken, organic eggs, fresh fish, seasonal local fruits, vegetables and fresh herbs, all enhanced by an inspired wine list. The Ranch at Rock Creek is available for corporate retreats, weddings, and family reunions. For more details, see Ranchweb.com.